Lutheran Church of the Good Shepherd's Soul Café! ...and you don't have to leave the neighborhood! Tickets are $30. Get yours now before they sell-out. Each ticket includes entrance to the event, a glass of wine, two appetizers, and a few laughs! Additional food and beverages available for purchase. Tickets are also available for purchase at the door until sold out. All proceeds benefit the arts and education programs at Art on the Corner! Art on the Corner welcomes 'Sabor' & the Afro-Latineers to our inaugural JAZZ NITE event! Through creativity and innovation; the simplicity, yet pure image of the band and its music will bring you energy, happiness and comfort. Paul Rivera, also known as, “Sabor” and The Afro-Latineers play a fusion of Latin & Jazz music adding West African & Haitian rhythms when its least expected. “Sabor” excites the audience when he says to the audience, “When you like what you hear…say ‘Sabor!’”, and the response feels as energetic as the music. Their music appeals to audiences of all ages and ethnic backgrounds. The Afro-Latineers specialize in engineering musical genres such as, “Salsa”, Latin Jazz, American Jazz standards and Afrobeat. Influences include the likes of the following artists; Cal Tjader, Mongo Santamaria, Machito & The Afro-Cubans, Stevie Wonder, Bobby Timmons, “Wes” Montgomery & Fela Kuti and other Latin & Jazz pioneers. Making a name for themselves in Brooklyn and gradually growing throughout New York City, including Long Island, “Sabor” and the band have performed for non-profit organizations such as The Jazz Ministry at Saint Peter’s Church, Make Music New York, EcoStation:NY, the Cultural Community of Masjid A.M. Khalifah and The Manhattan Neighborhood Network. The band has performed for hundreds of people at venues such as Milk River, Tomi Jazz, Fat Cat, Goodbye Blue Monday, Therapy Wine Bar, Nicholas Variety and others. 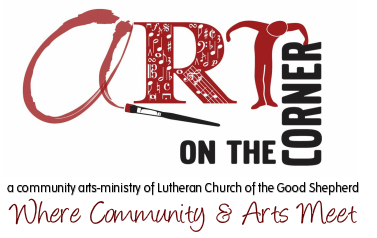 Art on the Corner is in for a treat! 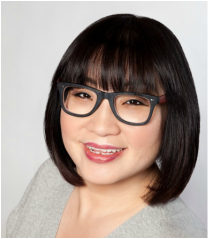 Adeline Chung, Bay Ridge's own stand-up comedienne, brings her sassy wit, along with a few comedian friends, to JAZZ NITE! Adeline and Friends will take our stage for a set of stand-up comedy when the band takes its break! Adeline has performed in numerous New York City venues, including the Gotham Comedy Club, Broadway Comedy Club, Greenwich Village Comedy Club, Vintage Lounge, Metropolitan Room, and Stand Up NY. Sten Ulfsson grew up in a town so small, the city map said "actual size". This Scandinavian sweetheart has lived in four countries and speaks five languages including North American English. Sten performs regularly in bars and clubs all over NYC including Gotham Comedy Club and The Stand. Muhshin Khan (Mu) has shared his comedic talents at many venues in the New York City area, including the Gotham Comedy Club, Broadway Comedy Club, New York Comedy Club, the Metropolitan Room, The Stand, and Greenwich Village Comedy Club. Also an actor, Muhshin speaks English, Urdu, Bengali, and Hindi.